Right out of the box in pilot you are submerged into world of Walter White, high school chemistry teacher. Doesnt sound interesting, well believe me it is, but no need to spoil great writting of Vince Gilligan known by x-files. However we need to say that this tv series won six Emmy Awards, three of which went to Bryan Cranston for best lead role in drama. Harsh reality of this somewhat dark series and development of characters is wihout pretense one of best delieverd in long time. Metamorphosis of Walter White from protagonist to antagonist is every bit logical and understanding, maybe that logic is that wht makes it so scary and dark. 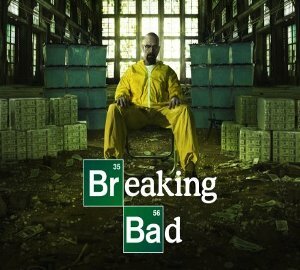 Every recomendation for this series if you havent seen it so far and if you have reminder that it is currently airing its final fifth season in which we find out what happens with Bryan Cranston who finaly after this role stops being just malcolms dad and will from now on be remembered as Walter White. anonymous: "pitty they separated this last season in two so distant parts..."
anonymous: "your message...i hate when tv series is butchered by being cut in many little pieces. but that is general trend these days... game of thrones, white collar..."
anonymous: "start that TV series already..."
anonymous: "too bad this one is over, hope that spin off from breaking bad, called better call saul, turns good. miss the whole BrBa thing. " anonymous: "lol pinkman was in top gear yesterday and was fastest, lol. good job, bitc*"
anonymous: "better call saul ;)"